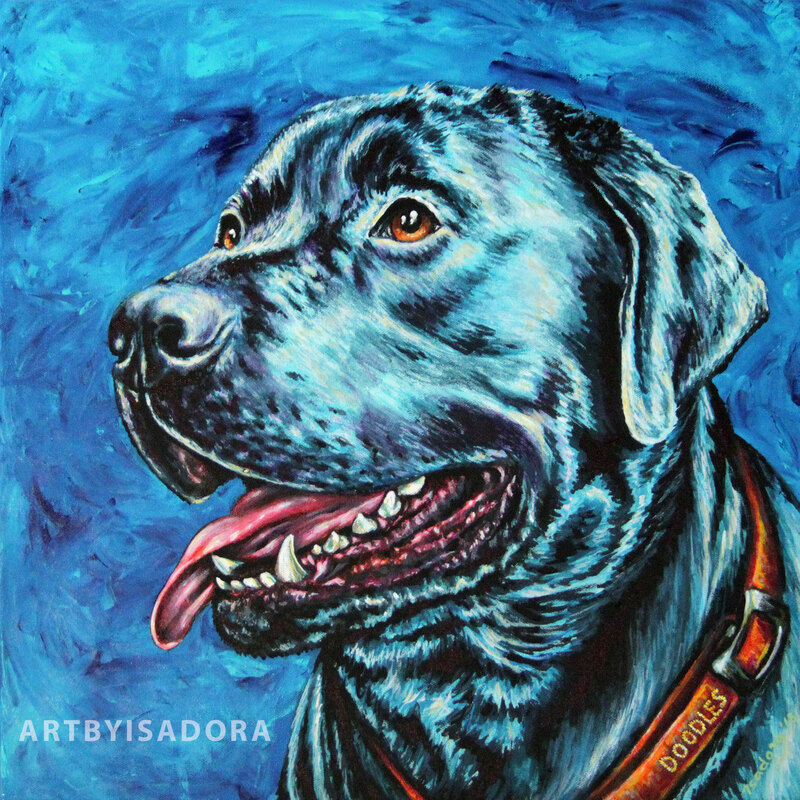 Order custom pet portraits from your photos! My art is bold, colorful and creative. I believe that creating a pet's portrait provides me the opportunity to present an image of your pet in a completely unique way. While my art certainly captures the subject, it's not intended to recreate a photo. Each time the brush touches the canvas or the pastel touches the paper, there's an opportunity to bring life, personality and feeling into the piece in a way that only hand-crafted art can do, and that is the moment in which I feel so pleased to be chosen to create a portrait for a client. 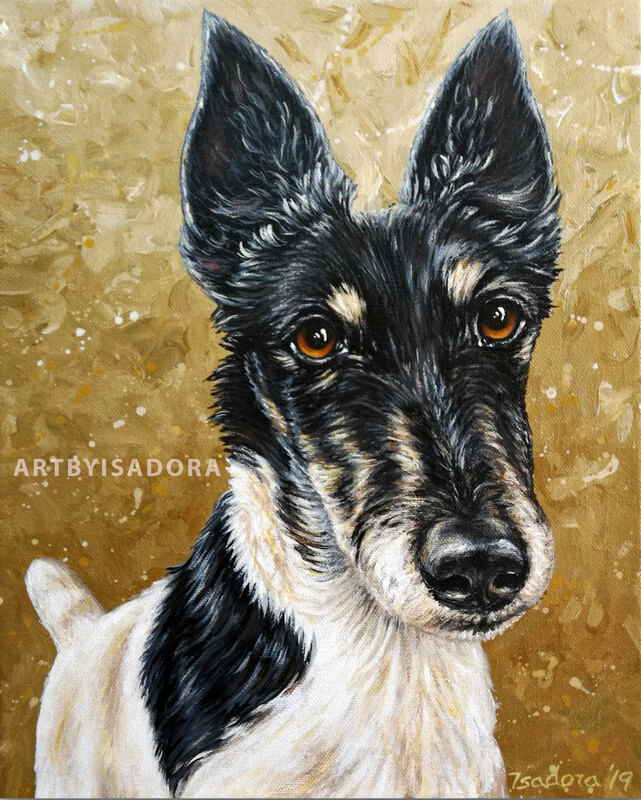 Below are a few of the pet portrait style and medium options I offer, with links to view sizes, pricing and ordering info. I am also always happy to discuss new, custom orders, so please feel free to get in touch with me with any questions or if you don't see exactly what you're looking for on this page. 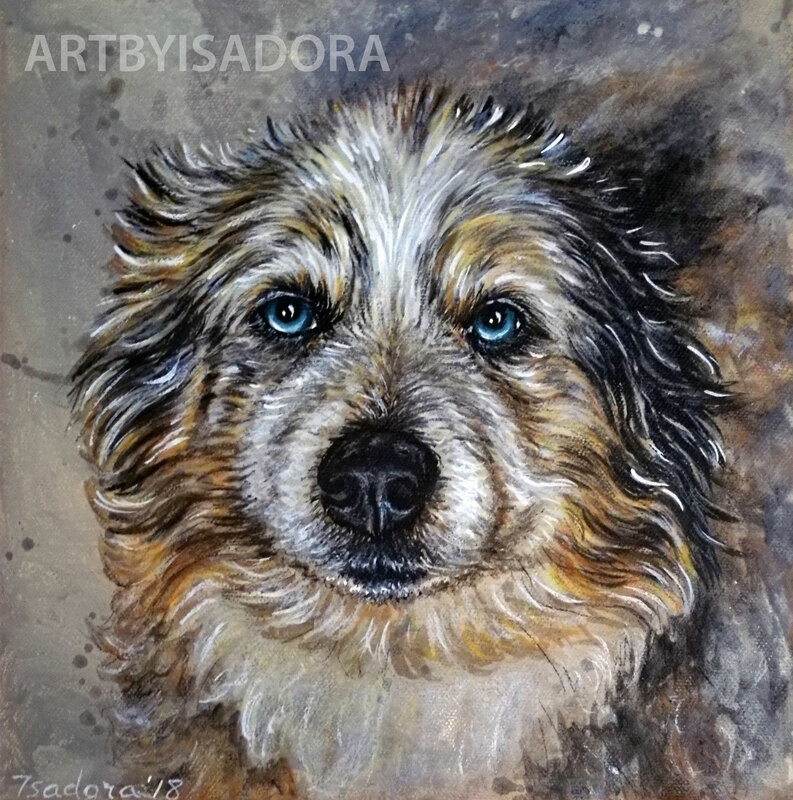 Click here to browse pet portrait options in my shop. My contemporary portraits have a bold, modern feel, with plenty of color and movement to the piece. Checkout securely below via PayPal, and I will be in touch within 24 hours to coordinate with you on photos and the specifics of the portrait. It's a fun process! As always, please contact me with any questions. Select your choice of portrait size below. Prices shown are for a portrait of a single pet. 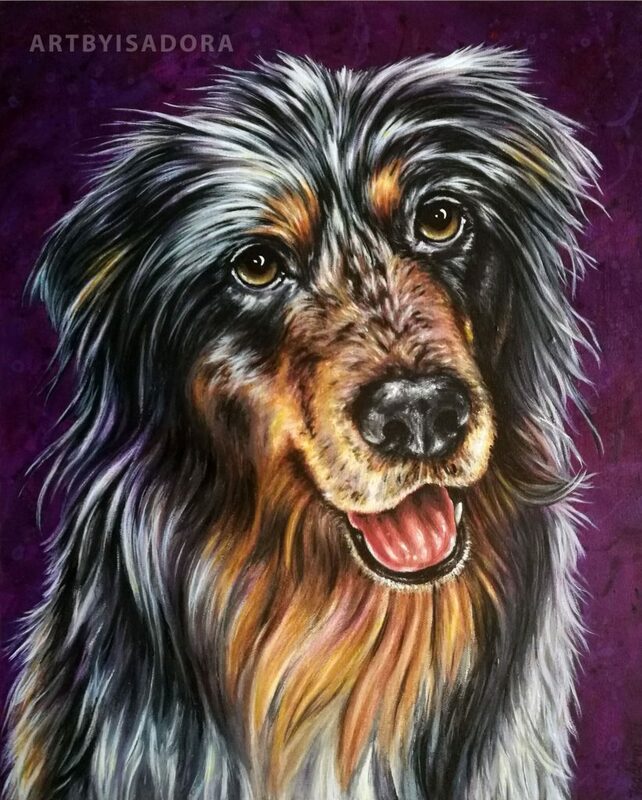 If you would like a size not listed, or would like more than one pet in the portrait, please contact me. 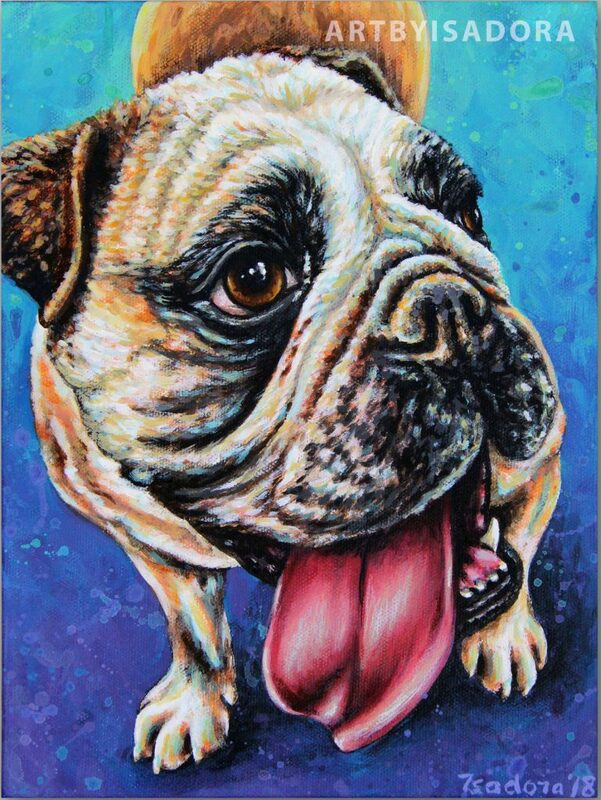 My traditional pet portraits have a classy, elegant feel with a realism style of painting. 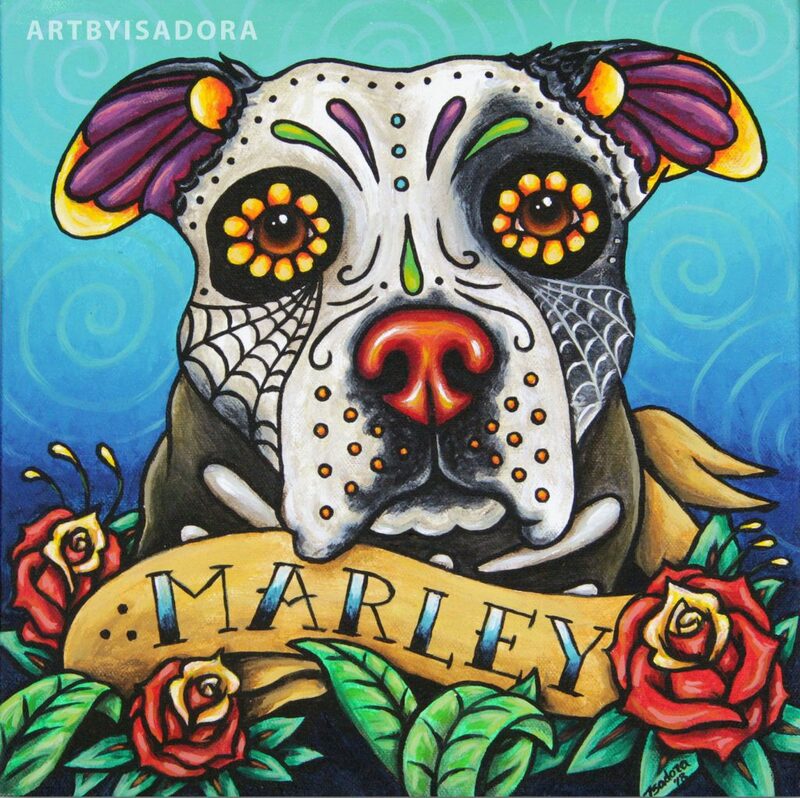 My pop art portraits are super fun and colorful, with bold colors and a fun feel to really celebrate your pet's unique personality. This is a really fun portrait option that is very unique. I incorporate my contemporary style with beautiful Dia de Los Muertos sugar skull art for something very special. It is a dreamy and surreal take on portraiture. 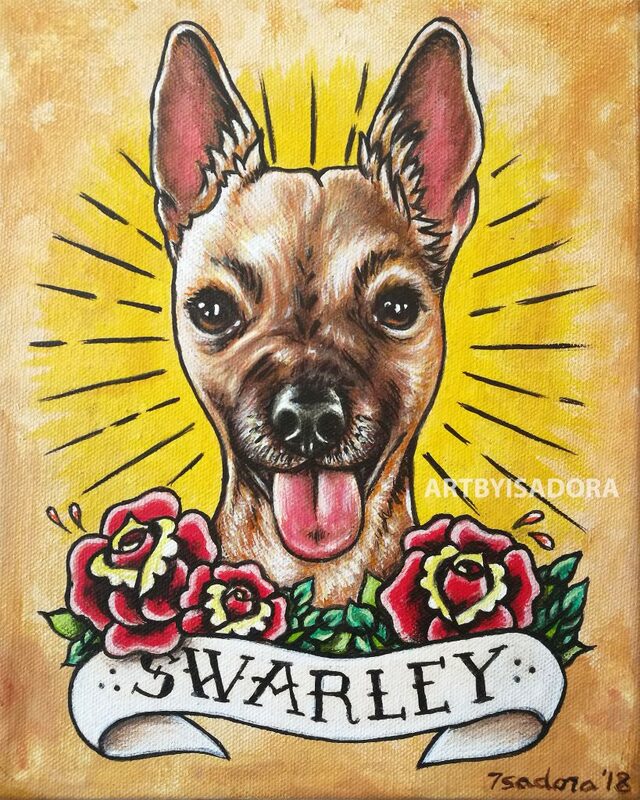 These make wonderful memorial portraits to celebrate your pet's life and spirit! 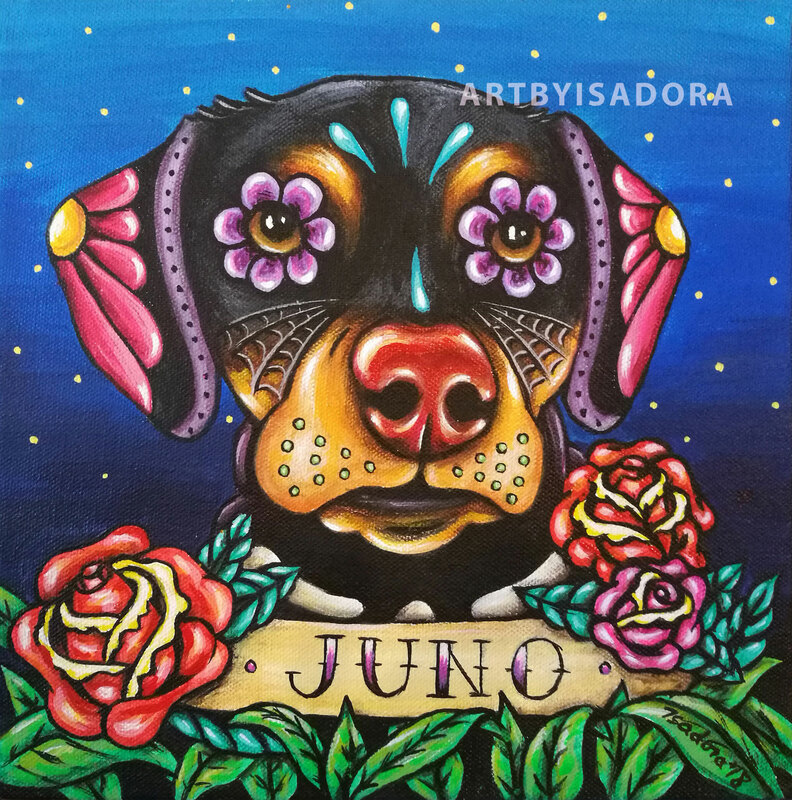 This portrait style is based on traditional tattoo artwork, hand-painted on a beautiful, deep canvas and wired for hanging. You can request the type and colors of flowers to be used around the banner with your pet's name. 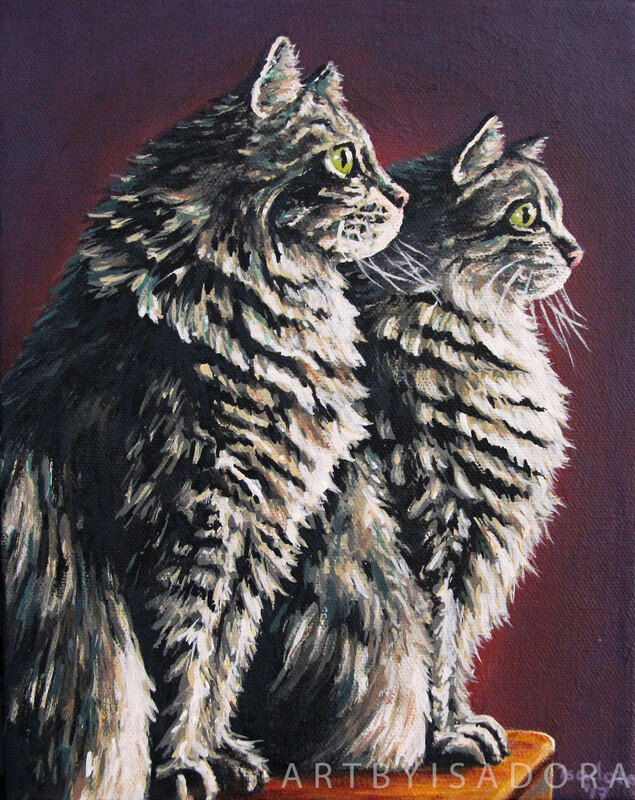 "Absolutely gorgeous piece of art… the painting goes straight to my heart. It was meticulously packaged with great, great care, and arrived in flawless condition. 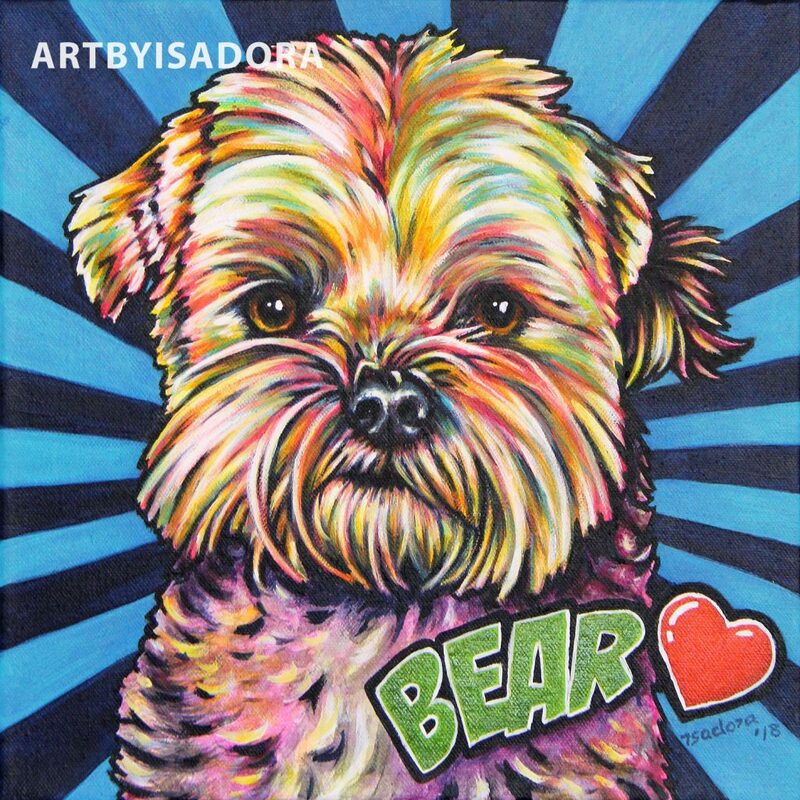 Highly recommend everything about this wonderful artist!" "Everything I expected and so much more! The detail was amazing, the colors were vibrant and you could tell it was made with love." "We could not have been any happier with this purchase. 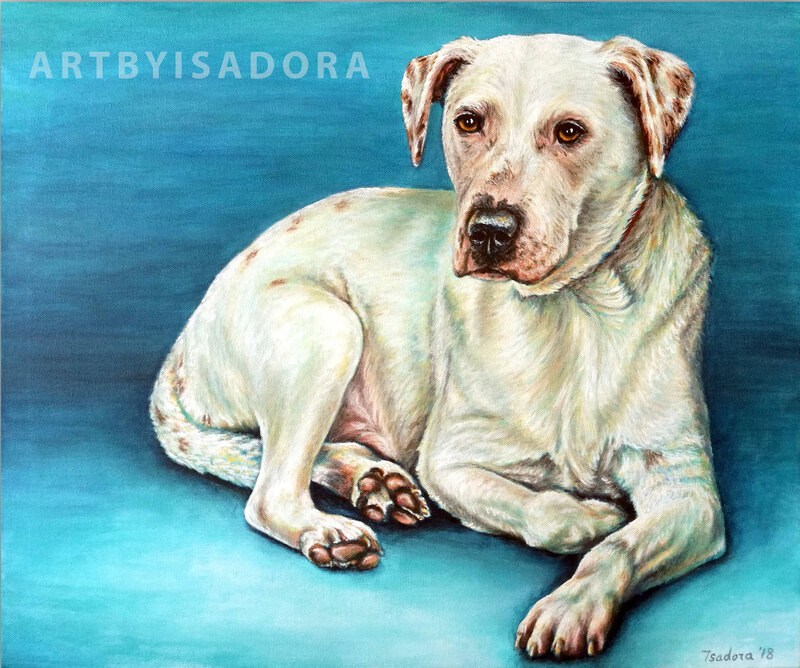 Isadora was fantastic through the entire process… You can tell right away the level of pride she has in her work. The attention to detail and the level of customer service could not have been better. Thank you Isadora. You are doing fantastic work." "I have to brag about my portrait to everyone! 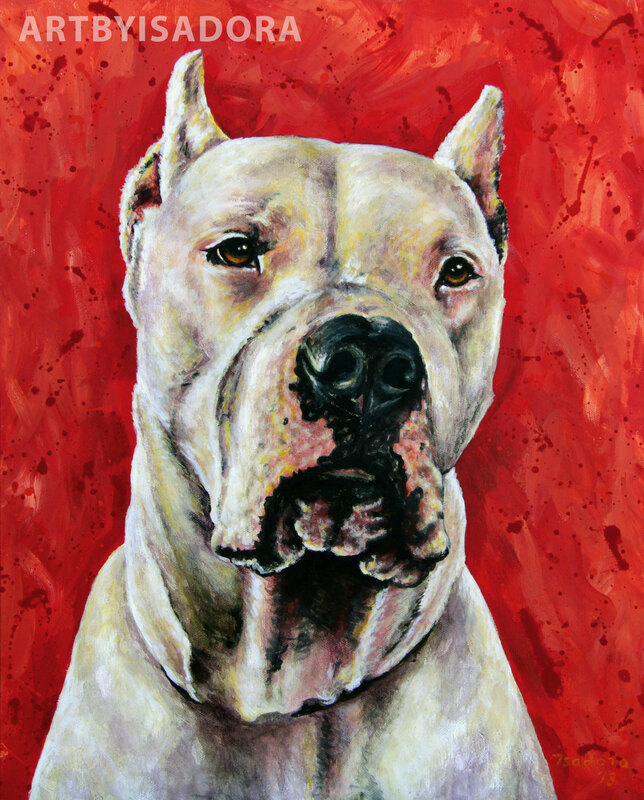 Isadora re-created my beloved boxer, Peanut. 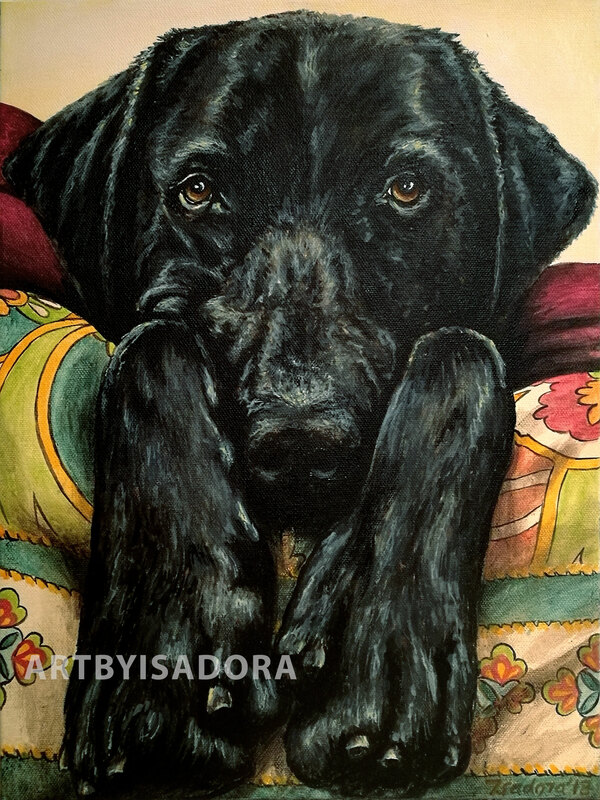 She put so much detail into this portrait that it made me cry. I love it so much! It's the most beautiful piece of art I own." "This is the second piece I have ordered from Isadora and both times have been fantastic. She has a great eye and great ideas but is also willing to work with whatever ideas you come up with… Will be using her for many upcoming projects!" 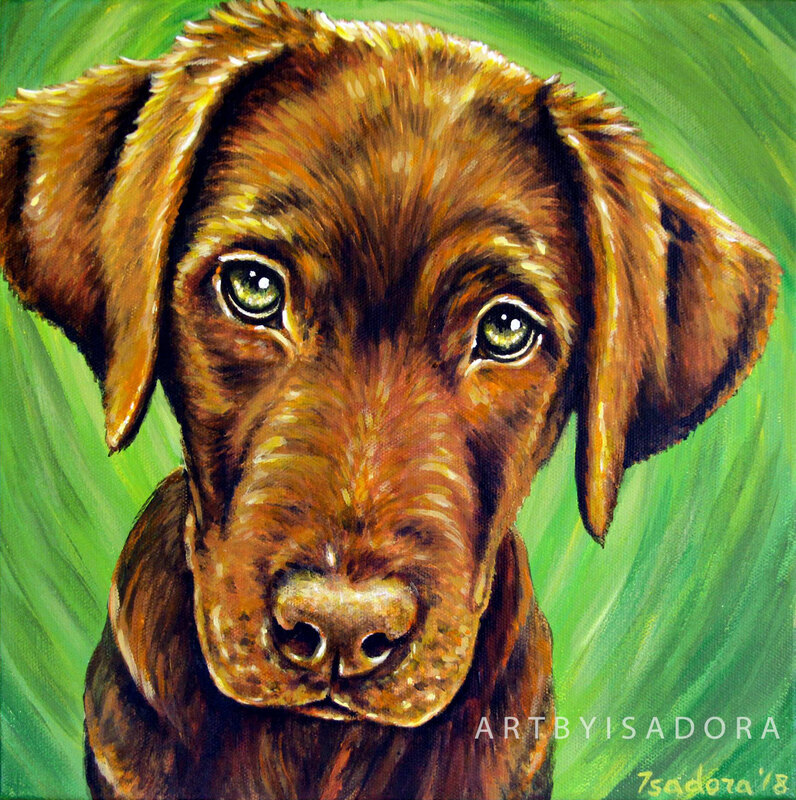 "I am blown away by the quality of work and customer service Isadora offers! She created a truly exceptional piece of art for me." 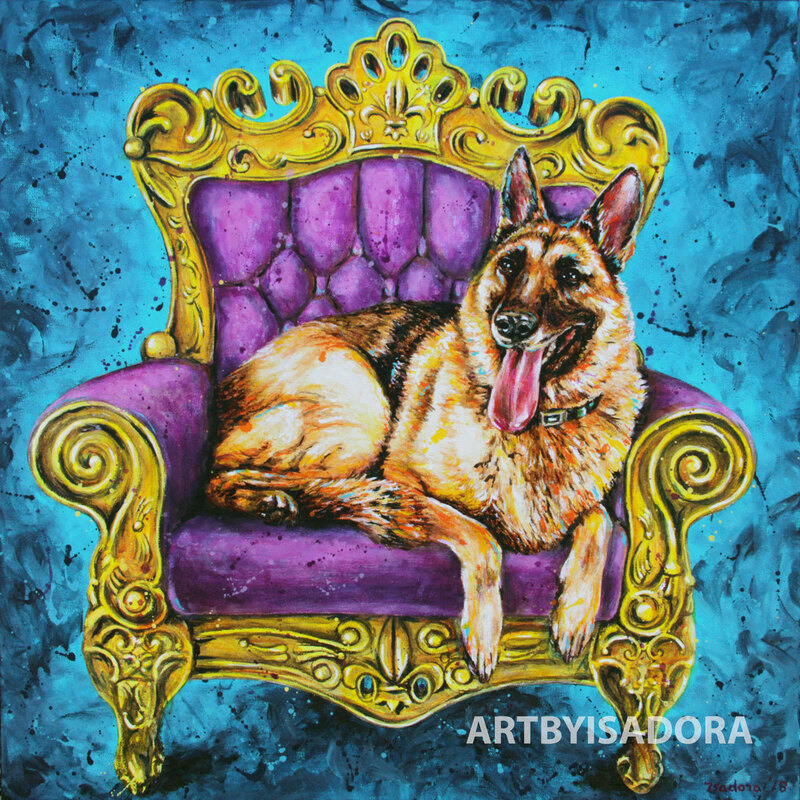 "Isadora recently completed a custom order for both of my dogs - she was amazing! She was very quick to communicate throughout the process and the final product exceeded my expectations!"